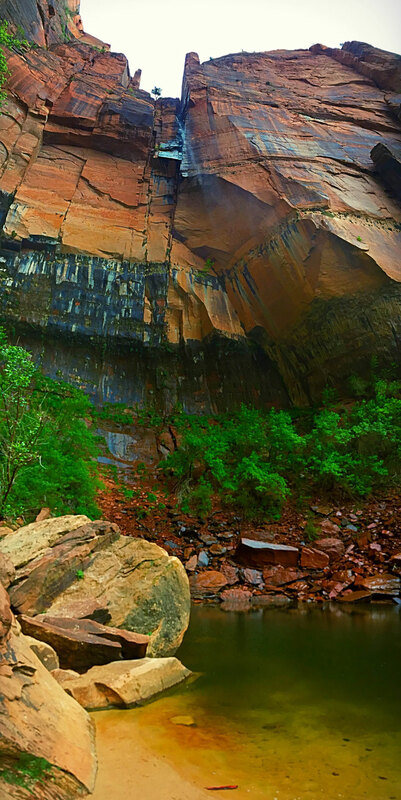 Carved by the Virgin River, above its placid banks rises Zion Canyon. Fresh from visiting the first step in the Grand Staircase, the Grand Canyon, we were ready to climb up the Colorado Plateau to new heights. 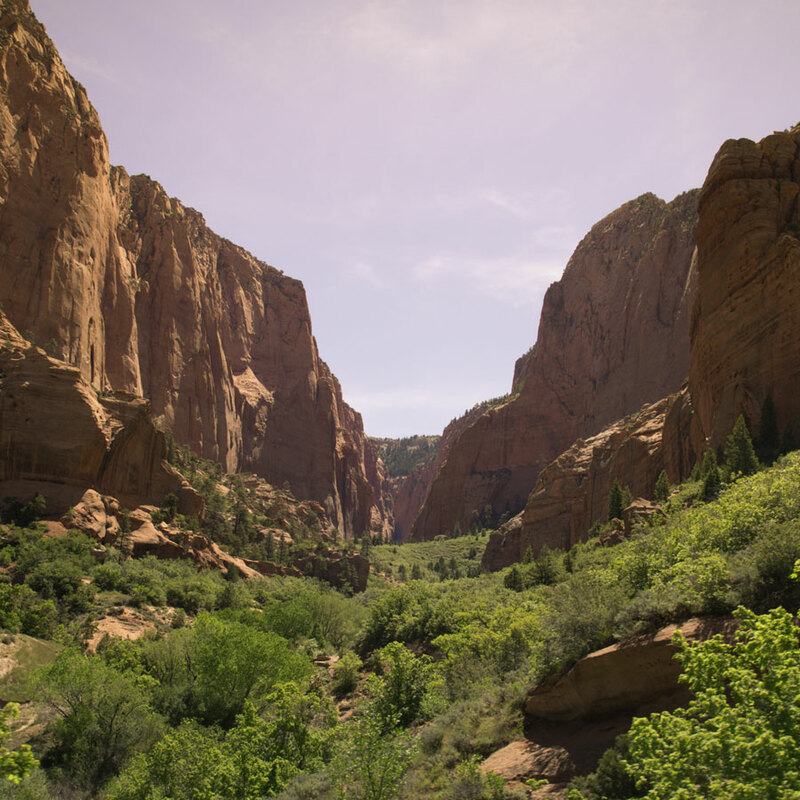 We had often heard people describe Zion National Park as their favorite, so we wanted to see what it had in store for us. 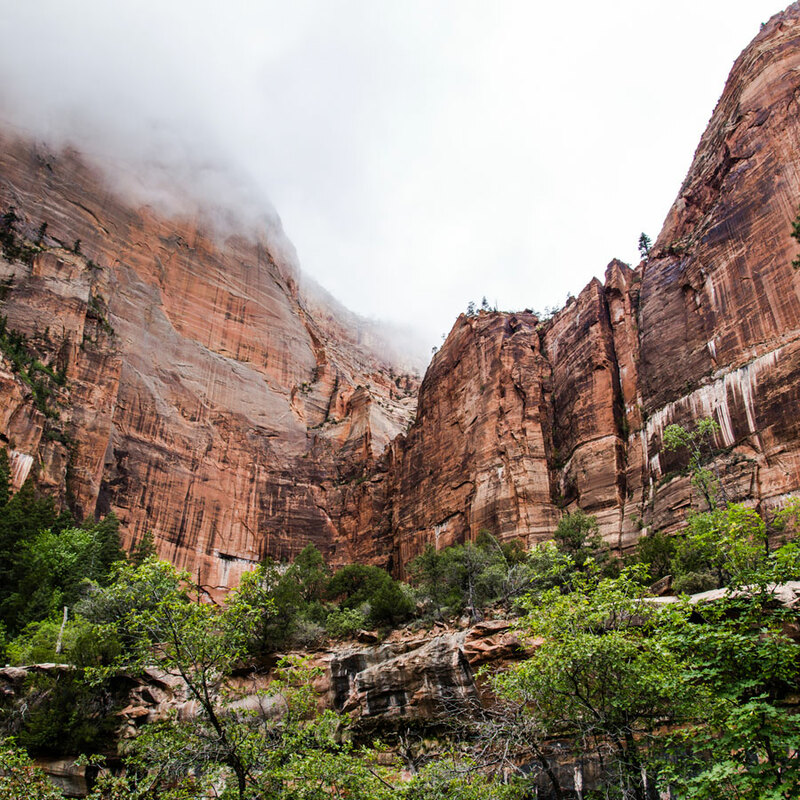 Zion is best known for two hikes, Angel's Landing and The Narrows, as well as a canyoneering route called the Subway. 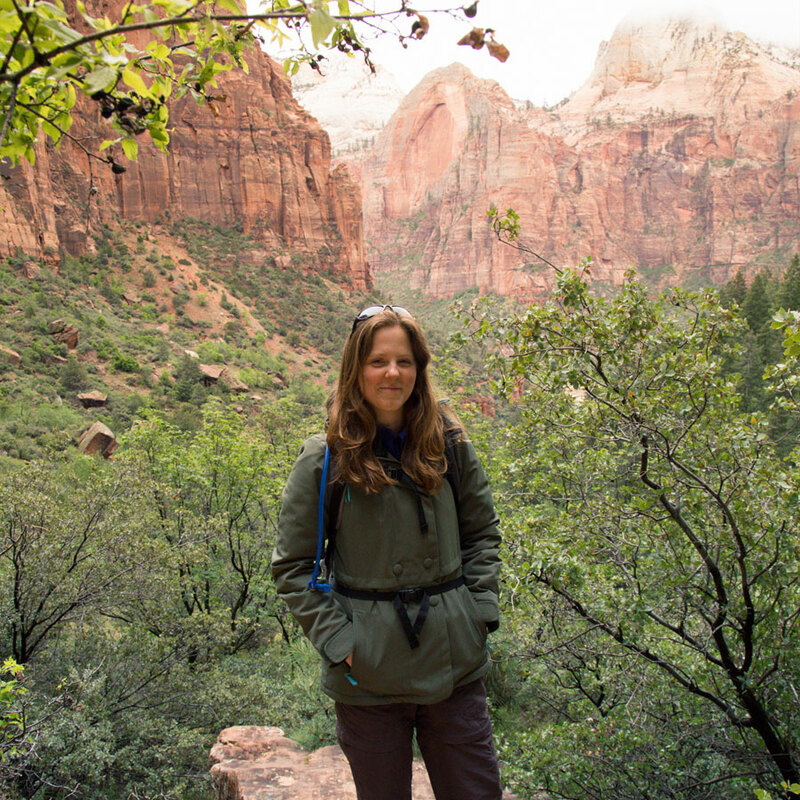 Saving these for another visit, we decided to explore some of Zion National Park's other beautiful offerings. 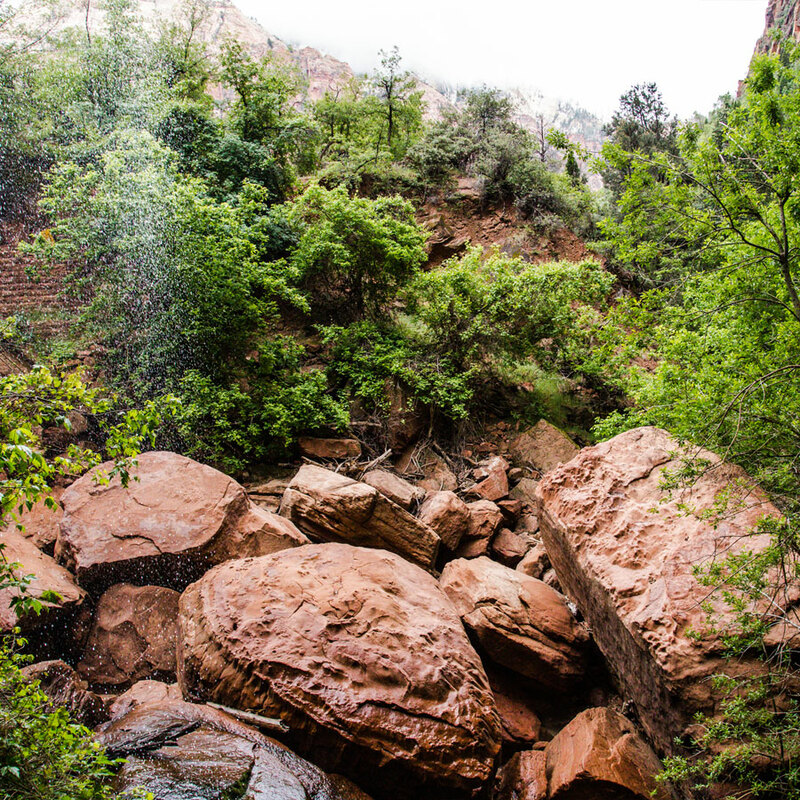 The first trail we hiked was Emerald Pools, where we rose through the lush, tree-filled canyon past the Lower, Middle and Upper Emerald Pools. The water in the pools is colored green by algae, and they are filled by rainwater and waterfalls. The view from behind the waterfall is as interesting as the view of the trail itself. Minerals in the water streak the canyon walls black and white, sending dramatic lines down the rock walls. Although the day was overcast and chilly, the views of the canyon were still beautiful, especially the higher we rose on the trail. 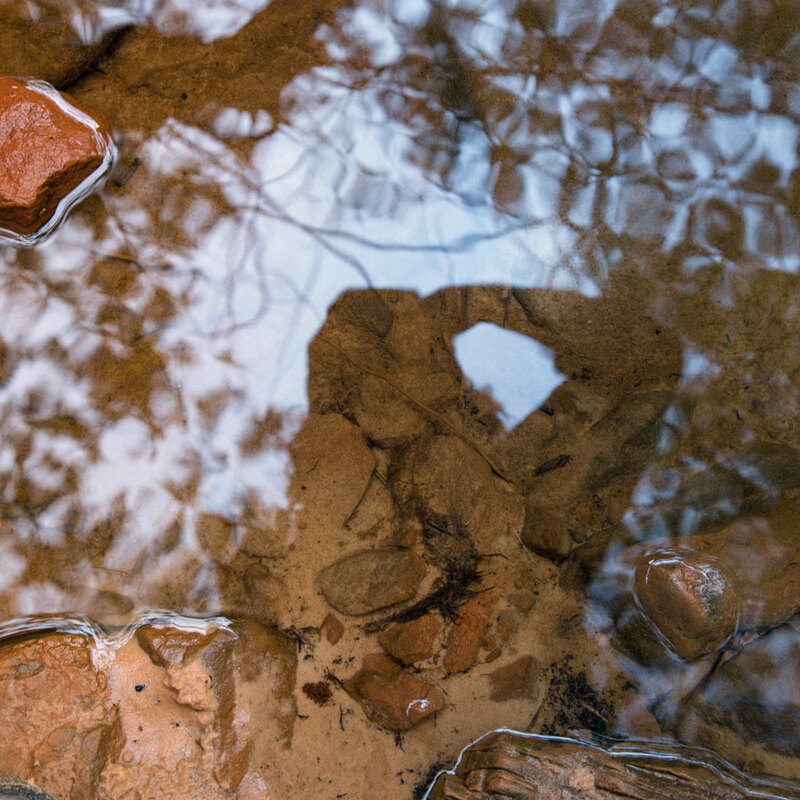 There was a stream running from the Upper Pool over the edge of the rock to the pools below. 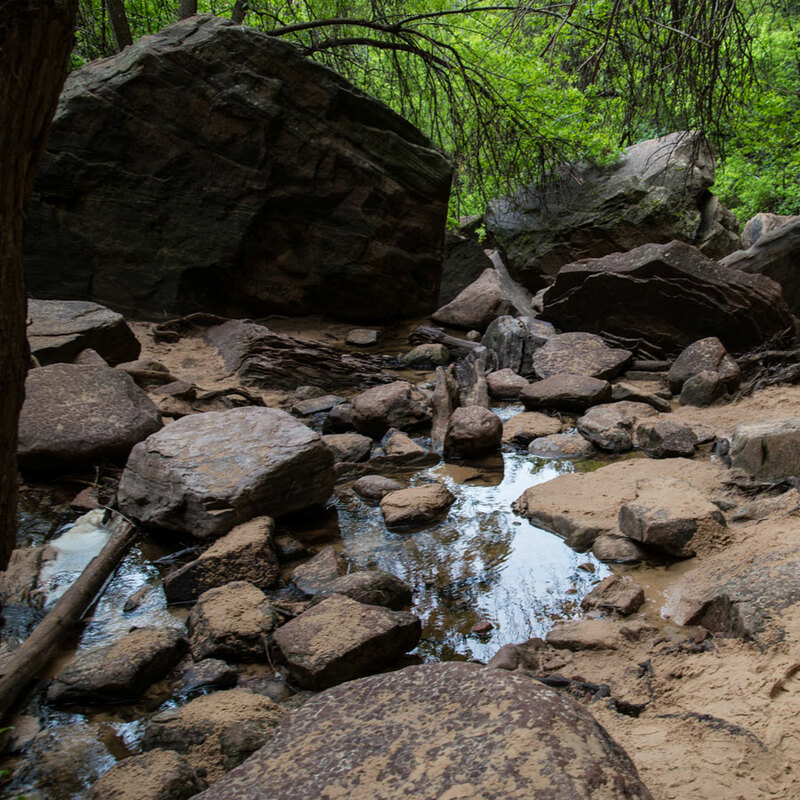 The slowly moving water provided a great place to rest and revel in our accomplishment of climbing hundreds of vertical feet. The vivid colors, textures and diffused lighting made for a photography playground. And we weren't the only ones enjoying the view at the top. 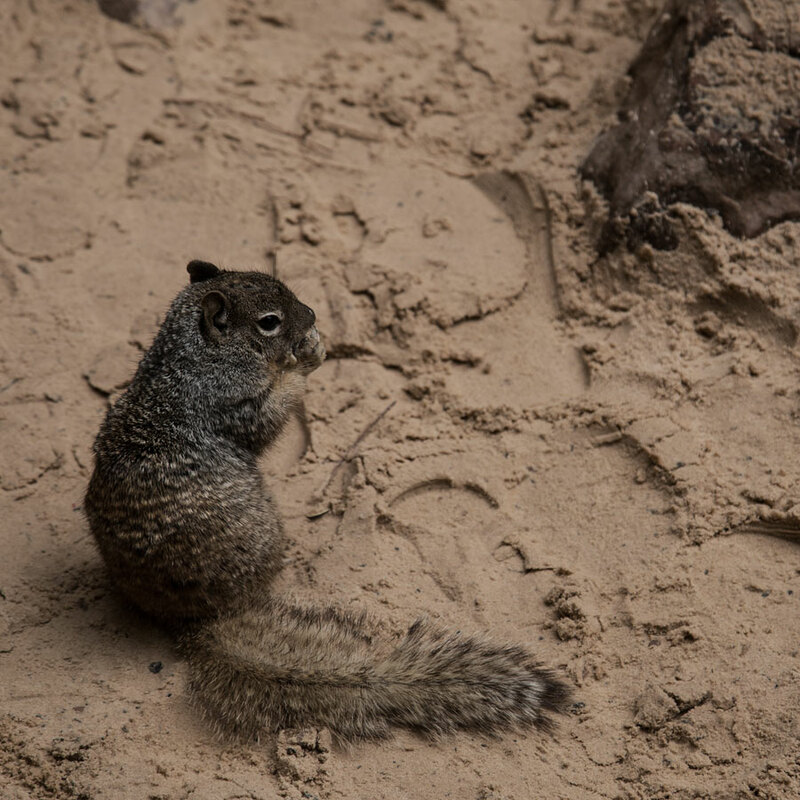 Actually, this little guy was getting snacks from hikers. Feeding wildlife is not cool, by the way. 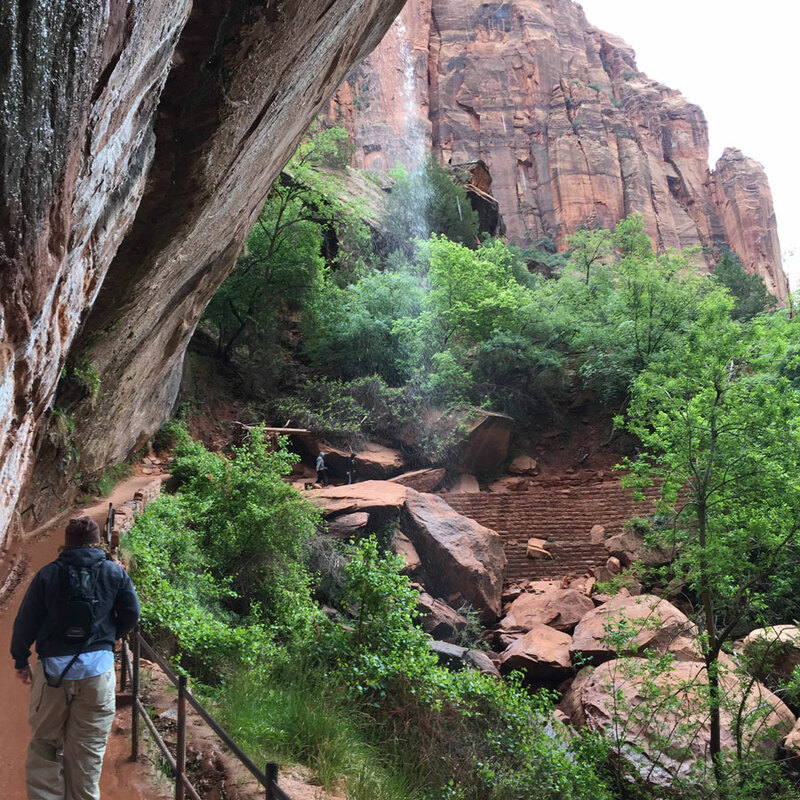 On our way back down from the Upper Emerald Pool, we deviated from the trail we had taken in and hiked towards The Grotto, a lush, flat path that crosses the Virgin River and parallels the road back one shuttle stop. It was an unassuming trail, but we had good company. 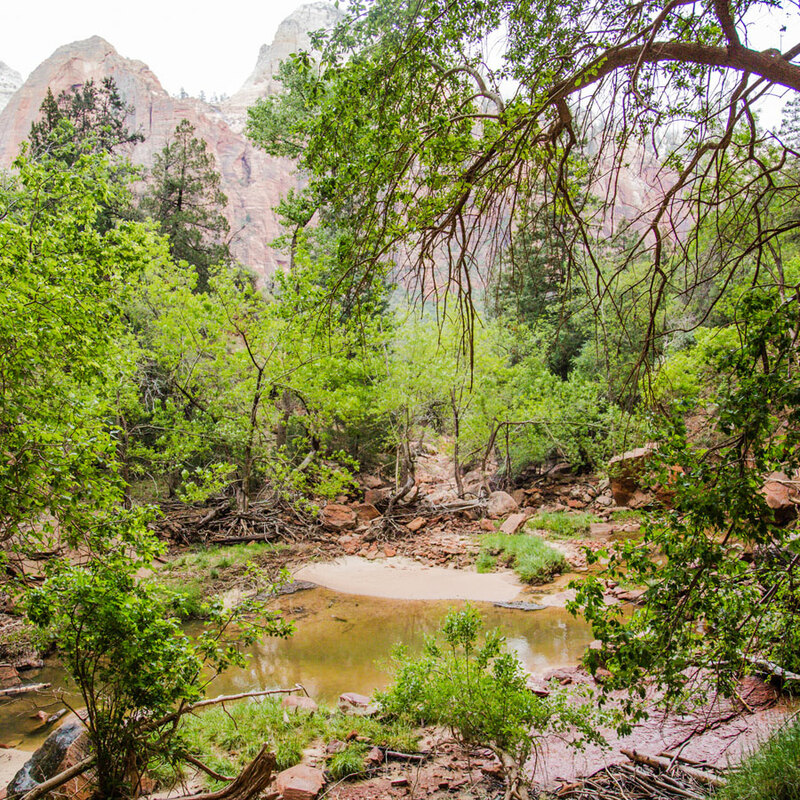 We returned to Zion National Park a few weeks later, this time to the more remote Kolob Canyon side. This canyon cannot be reached by car or shuttle from the main part of the park, but it's full of beautiful views and great hikes. 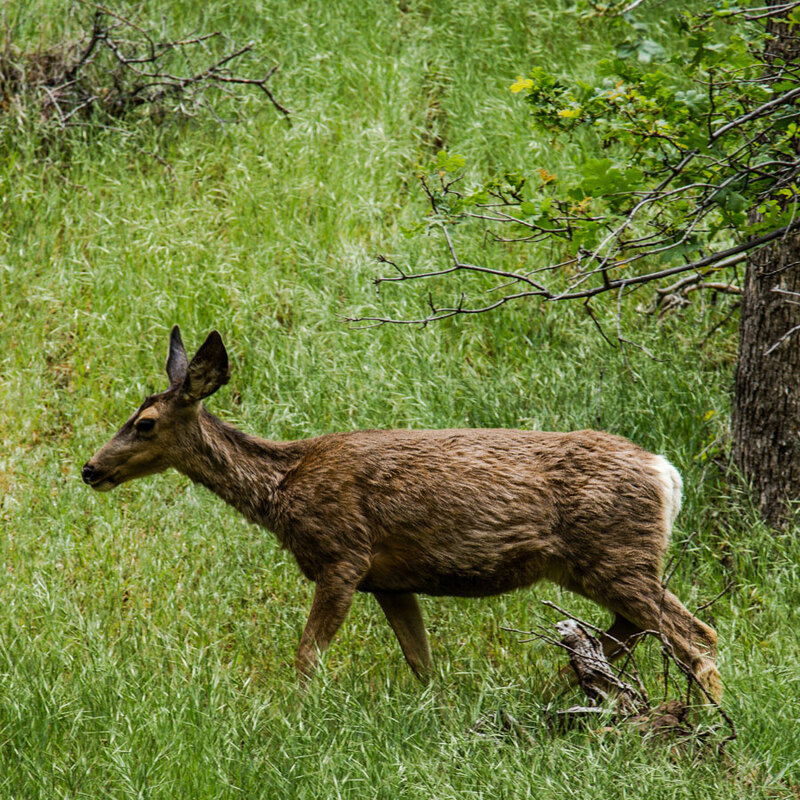 The sights on this lesser-visited side of the park were just as awesome. 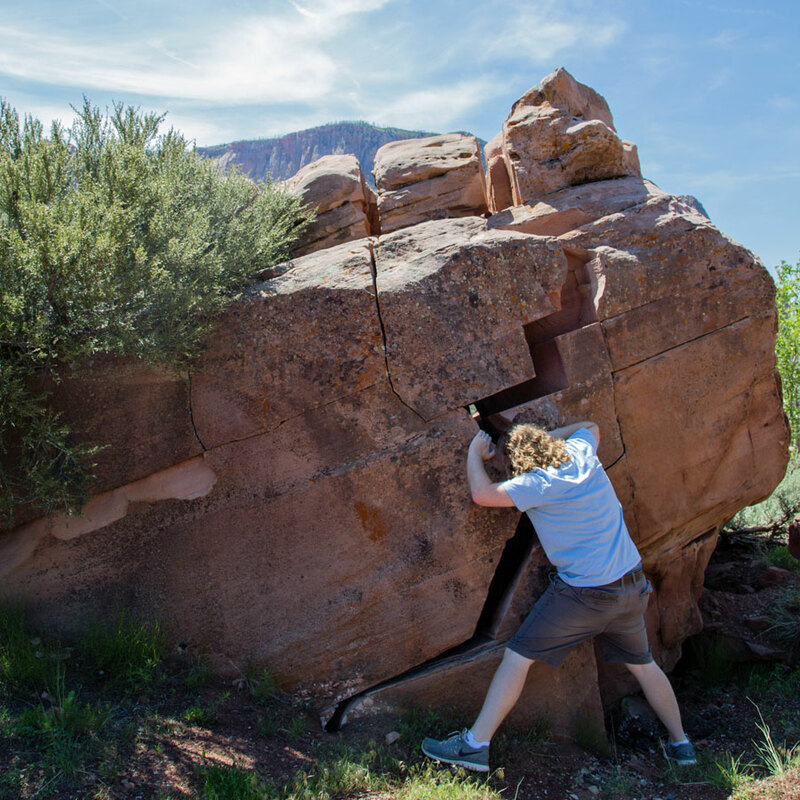 But nothing was as awesome as watching Josh break apart this rock. Just kidding. We love Leave No Trace. 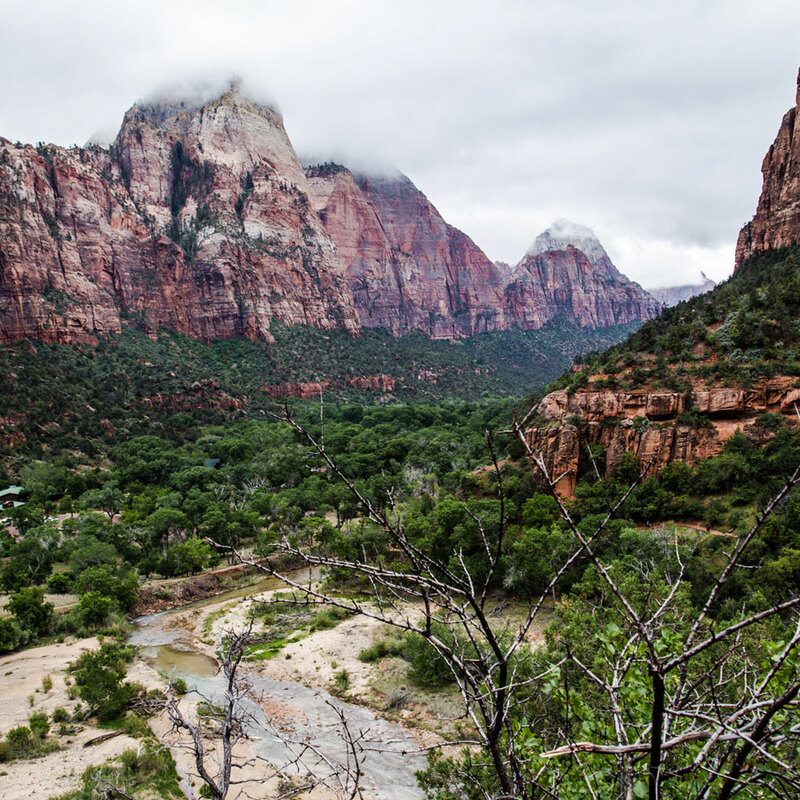 Have you visited Zion National Park? If so, did you venture into these sections? What were your favorite unexpected finds?